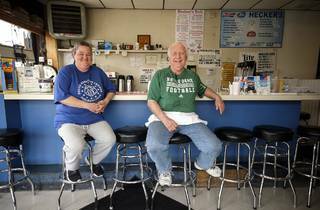 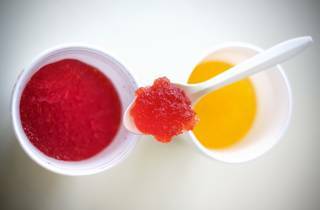 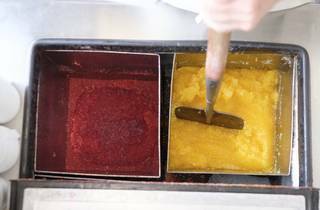 Gus Bauman, 70, makes his water ice by chopping cherry- or pineapple-flavored ice blocks by hand, imitating his late father, shop founder “Hecker” Bauman. 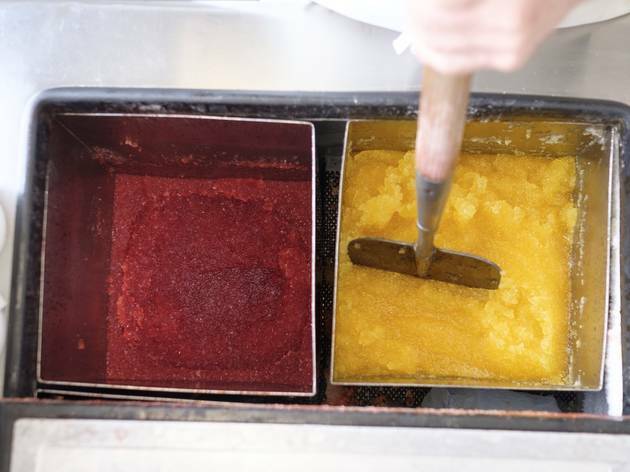 No machinery is involved, hence his ice’s chunky consistency. 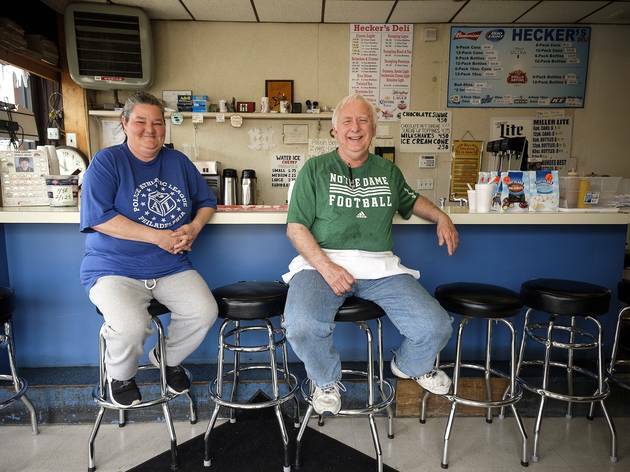 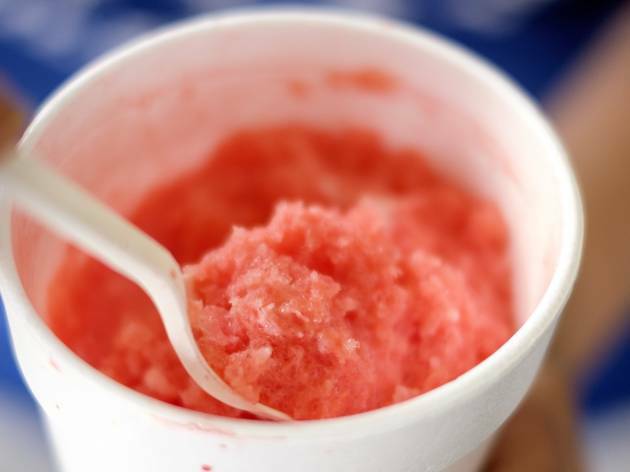 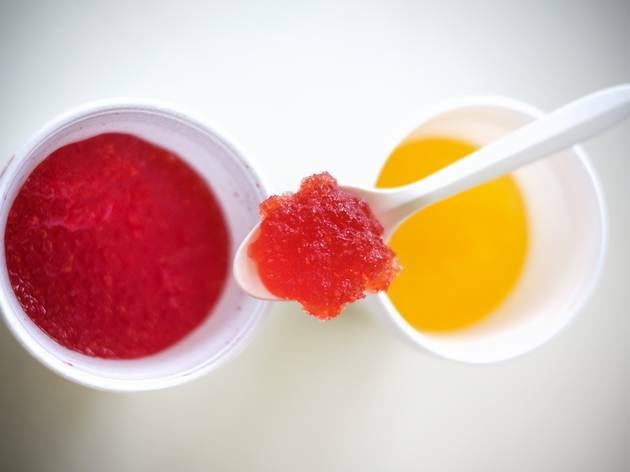 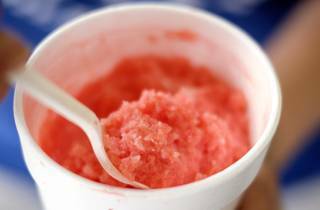 Hecker reportedly also invented the “radio ball,” Port Richmond’s variation on gelati (which is a mixture, rather than a layering, of water ice and ice cream) that Gus still sells.